6435 S Kathleen Ct, Nine Mile Falls, WA.| MLS# 201826824 | Cooper Realty Services (509) 599-1111 | Spokane WA Real Estate | Contact us to request more information about our Homes for Sale in the Spokane WA area. Great floor plan on nearly 3 acres priced to sell! 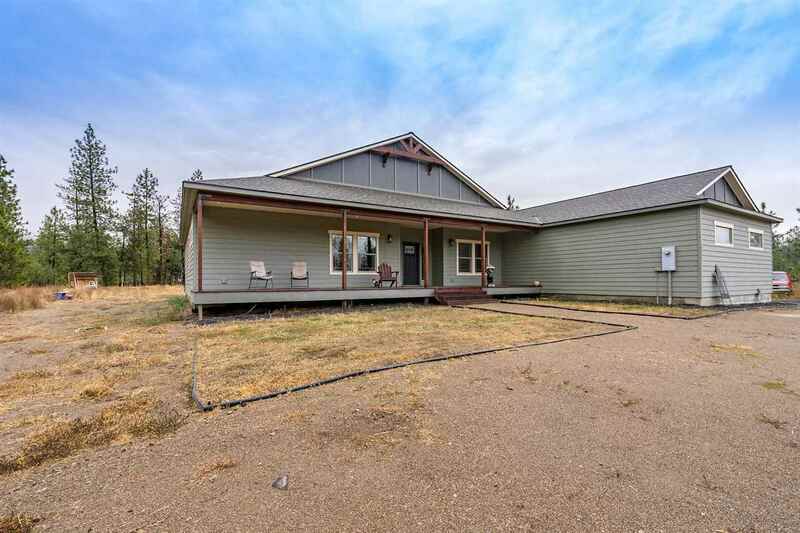 Built in 2014 this 3 bedroom, plus Den/office, 2.5 bath, one level rancher with nearly 2600 square feet has a lot to offer. Open layout, spacious master, large bedrooms with jack and jill bathroom, huge front and back porch, pre wired for hot tub or future shop, sprinkler system recently installed. New sod scheduled to be installed Friday!